Product #21128 | SKU GHM-1 | 0.0 (no ratings yet) Thanks for your rating! 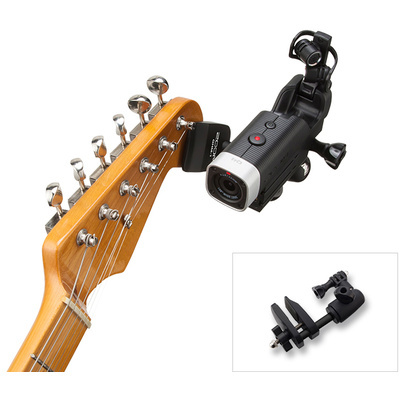 The GHM-1 Guitar Headstock Mount is an attachment to mount Zoom’s Q4 Handy Video Recorder onto guitar’s headstock. With the GHM-1, you can shoot stunning videos that are taken guitarist/bassist hands in close-up as seen in music videos.